ONE-OF-A-KIND CUSTOM home with SUPERIOR FINISHES. PRIVATE SETTING at the end of the cul-de-sac WITH INCREDIBLE LAKE VIEWS! 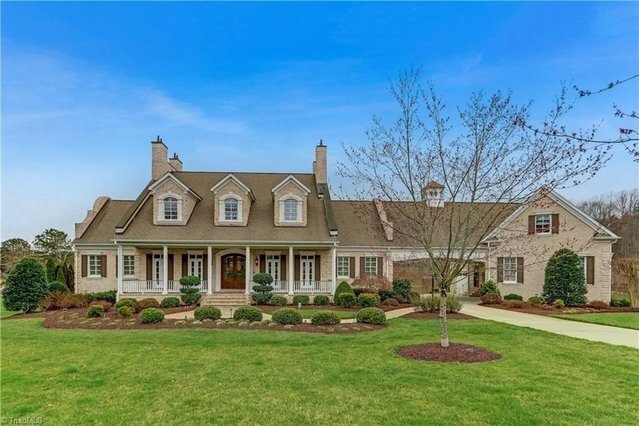 Hand scraped walnut floors, extensive handcrafted trim, coffered & tray ceilings! Kit has custom cabinets, granite ctops, walk in pantry, SS farm sink & built-in appls. Master suite has separate sitting area w fplc & lake views! In-law SUITE w sep entrance. Full daylight bsmt w/kit, gym, billiard & MEDIA rm & patio access w/built in kit, grill & fenced yard. Perfect for family living!